Currently, the majority of survey plans received by governments are in digital format, which has the benefit of increasing the detail and quality of the data captured for end users. However, the switch to digital survey plans has also increased the work required to collect and quality control submissions. Compliant with established business rules. 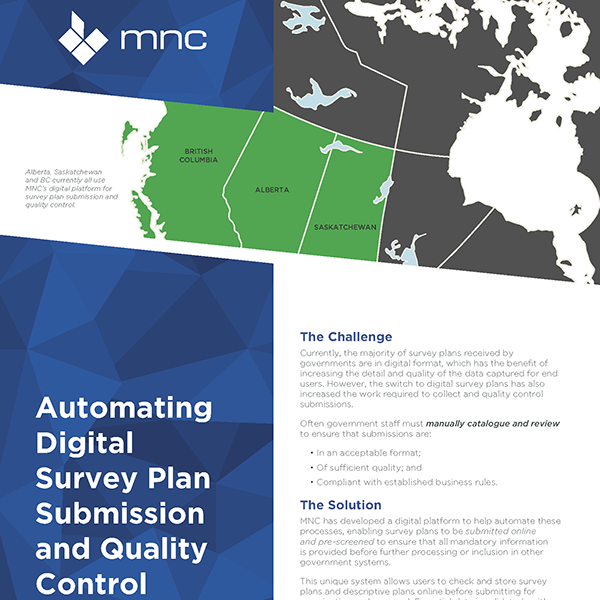 MNC has developed a digital platform to help automate these processes, enabling survey plans to be submitted online and pre-screened to ensure that all mandatory information is provided before further processing or inclusion in other government systems. This unique system allows users to check and store survey plans and descriptive plans online before submitting for examination and approval. Essential data is validated as it’s entered, helping the user ensure all necessary information and support documents have been provided. Alerts let users know if any required information is missing or appears incorrect, allowing for corrections in a ‘work-in-progress’ environment. The system improves the quality of submitted survey plans by performing various checks prior to submission (e.g. CAD layers, geo-referencing, dimension annotation, etc.). As well, business rules for the survey plans can be automated, checked and validated, streamlining traditional manual reviews and reducing efforts placed on staff. Locations are also validated and enable the user to visually confirm the plan against the cadastral(parcel) mapping base for the province as well as surrounding plans. 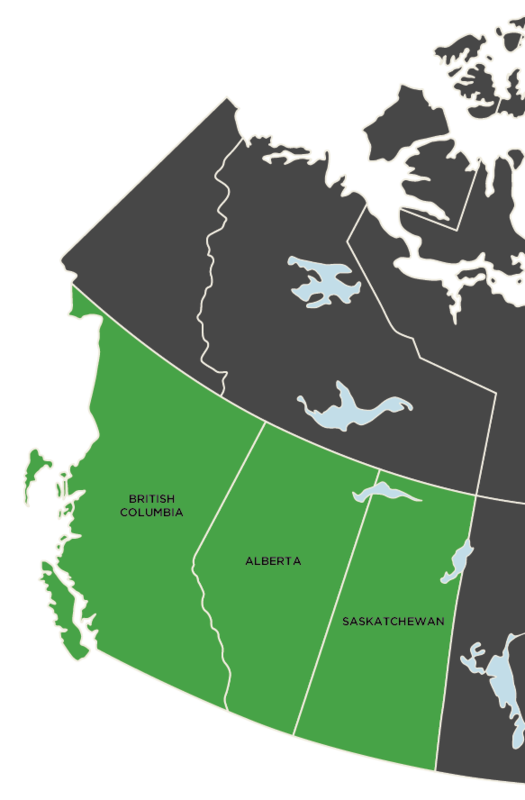 MNC’s unique software platform has been implemented across Alberta, Saskatchewan and British Columbia (BC) and customized for each jurisdiction’s specific requirements for business rules and workflows, ensuring a perfect fit. By identifying survey plan errors prior to plan registration, costs are reduced through automated checks and any associated costs for resubmission or corrections. All processed files are verified to ensure compliance with geo-reference requirements, parcel closures or other survey elements are included. The system alerts surveyors if any necessary plan information is missing or appears to be incorrect, guiding the process before final submission. Users can view their plan relative to the cadastral(parcel) fabric and identify any plan anomalies or conflicts prior to submission. Digital workflows help streamline the approval process and improves the overall quality of the registration documents through automated business rule checks and validation. Registry staff can focus their efforts on registering documents instead of verifying that files match submission requirements. The system compresses and encrypts the surveyor’s digital plan package, ensuring only authorized staff can extract the information in this package for plan registration purposes. Metadata is verified by users and assists in automating subsequent approval and mapping workflows such as unit counts and location information.